This is a pair of MTP Blanking Plates. The size of them is approx. 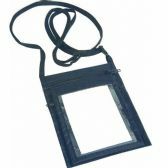 13.5cm x 10.5cm They are MTP one sided and full Velcro on the other. They are genuine British Issue They have been issued but are as new and super grade You will receive one blank and one with the Union Flag on as per the picture If you have any questions please do not hesitate to contact us. 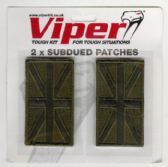 You are Purchasing a Sealed Viper Cloth Subdued Olive Green Union Jack Patches. They are a pack of two patches. They are fixed via a Velcro system.